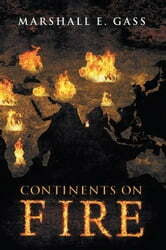 Poems in this volume cover current themes on politics, power, and control in most major hot spots on the globe. Using deft poetic devices, serious in some poems and spoof in others, Marshall is able to draw the readers interest into these events. His acute poetic observation of control and its detrimental effect on local, national, and international communities is succinctly covered. These events are currently in the news and on television. In using powerful symbolism, metaphors, and delicate poetic language, Marshall delivers a volume that is both definitive and beautiful. Continents on Fire exposes so many of these social failings that hold international attention and grab headlines. Dictators and dogmas are treated alike. Similar to previous books, Marshall uses deep contrasts in poetic devices and subject matter to create multidimensional poetry. Join a growing community of readers who have now taken up performance poetry as an art from his previous books. There are poems in this book that will sizzle and sparkle on stage as performance poems and songs of a generation of involved readers swirling in the matrix of magic created by this poet-writer.